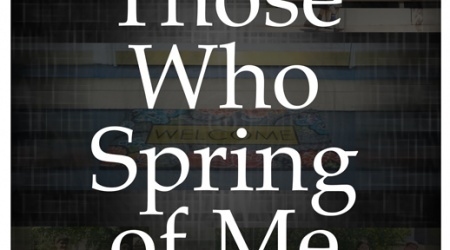 Nicolettecinemagraphics is proud to announce the start of production on a new film titled Those Who Spring of Me. It is being produced, co-wrote, directed, shot and edited by Nicolette Swift and Matt Swift, in partnership with Audrey Todd. This will be the first narrative feature created by the team at Nicolettecinemagraphics. We are very excited to continue production over the coming months in Columbus, Ohio shooting in the neighborhoods of Glen Echo, SoHud, OSU Campus, and Clintonville. Those Who Spring of Me is a feature length narrative film exploring the coming of age of a non-verbal autistic male and his girlfriend who is also autistic. The film focuses specifically on the desire to get married and have a child. A large part of the story will juxtapose the small dramatic moments of family life with an offspring that can only communicate through actions and assistive technology with the realization that there is no stronger form of communication than acts of love, the binding of two people in a relationship, and the creation of new life. This film is made possible by funding from the Ohio Arts Council, VSA Ohio, The Greater Columbus Arts Council, and Food for Good Thought.